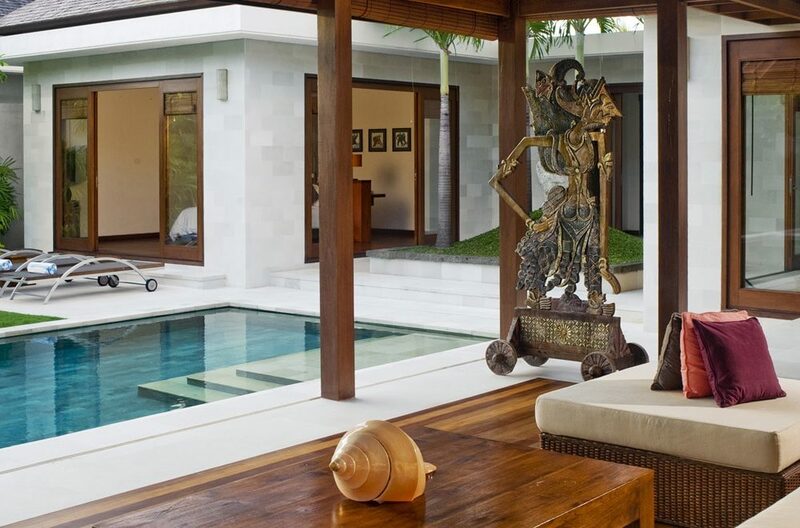 Conveniently located in Canggu and just 1km from Batubelig Beach, Villa Saba Bima is a private pool villa with spacious bedrooms, generous living areas and is connected to Villa Yudhistira via a large sliding wall panel making it ideal for family groups requiring four bedrooms and plenty of space for the children to have fun. This open set-up also lends itself to weddings and birthday parties. 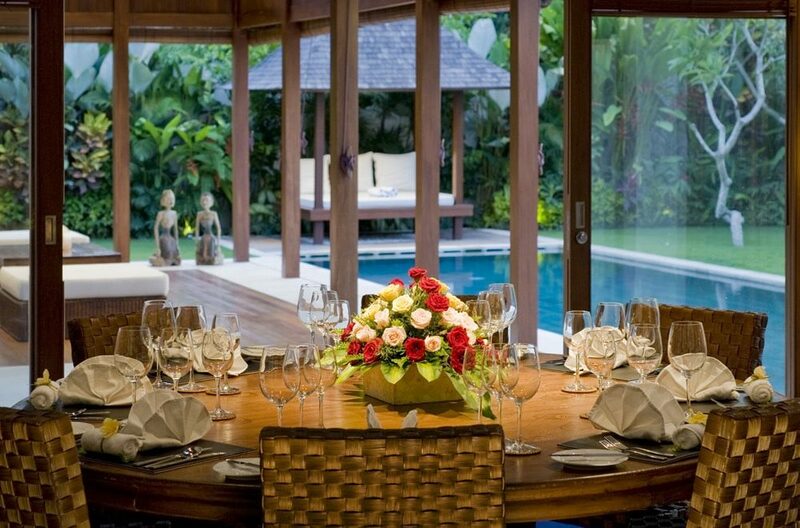 The dining area features a dining table for 8 guests whilst outside another alfresco dining area with seating for 10. The kitchen is modern and well equipped for any catering requirements. Outside guests can enjoy the 15mtr swimming pool, BBQ area and a bale to relax and read your favourite book. 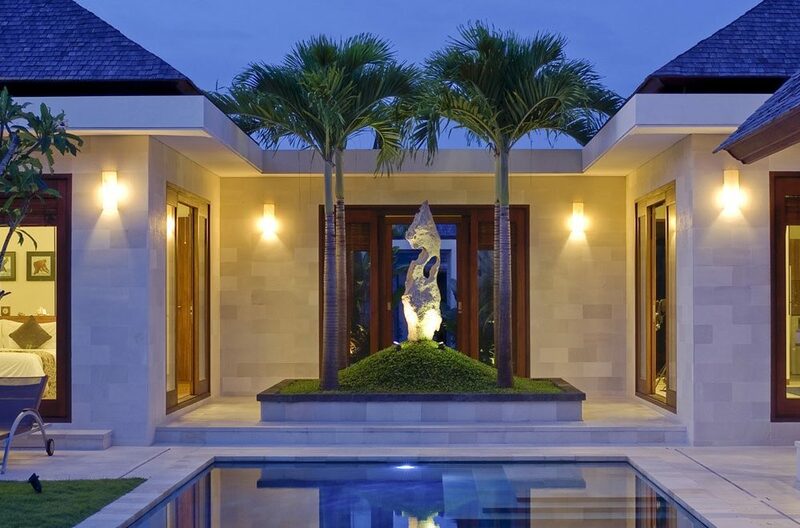 The living pavilion is positioned beside the pool set within the well-tended tropical gardens. 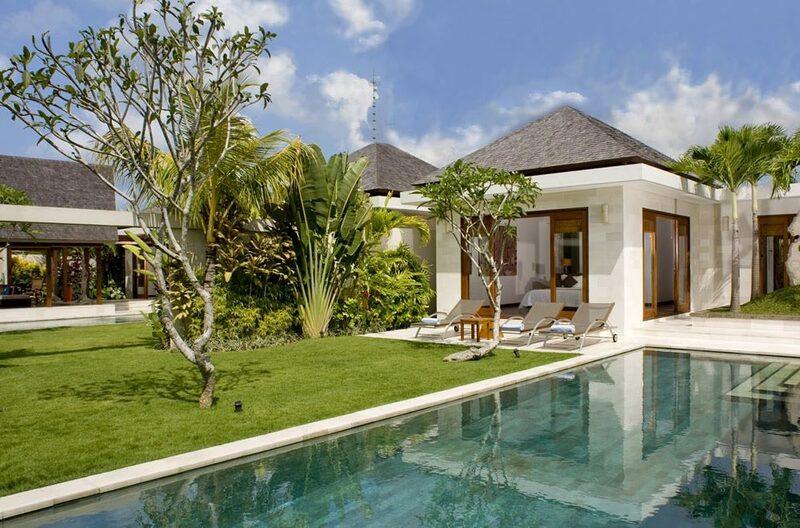 Guests who book both villas can request the staff to open the wall panel to provide a huge garden area with the two swimming pools. Entertainment includes Satellite TV; DVD player; hard drive media player; iPod dock and speakers (loaded iPod on request). Two bedrooms comfortably accomodate 4 guests. 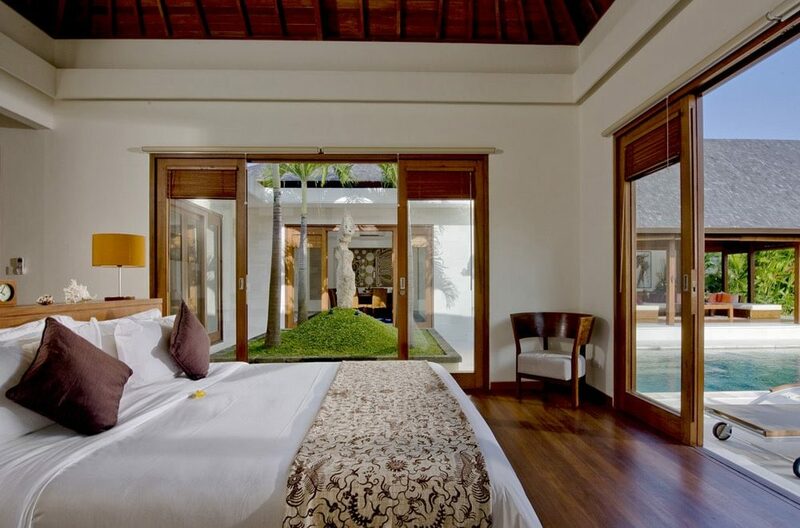 One bedroom offers a king size bed while the second bedroom twin beds that can be configured into a king. 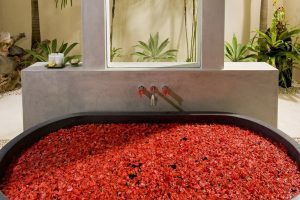 Saba villas are served by a large team of staff including a villa manager; assistant manager; private chefs; 24-hour security, housekeeping and butler service; gardeners and pool staff. 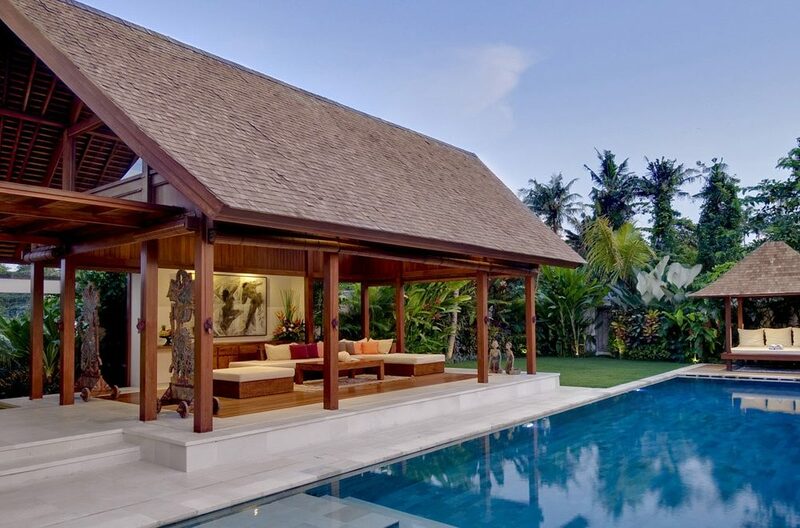 Providing perfect family holiday accommodation, Villa Kedidi with it’s private pool and close proximity to Canggu Beach offers luxury living and plenty of charm. 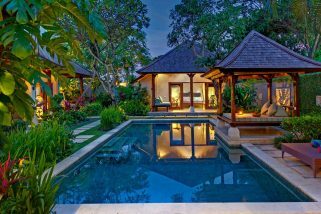 Villa Inti is a stunning, five-bedroom sanctuary that overlooks the lush rice terraces of Bali's hip surf utopia, Canggu. 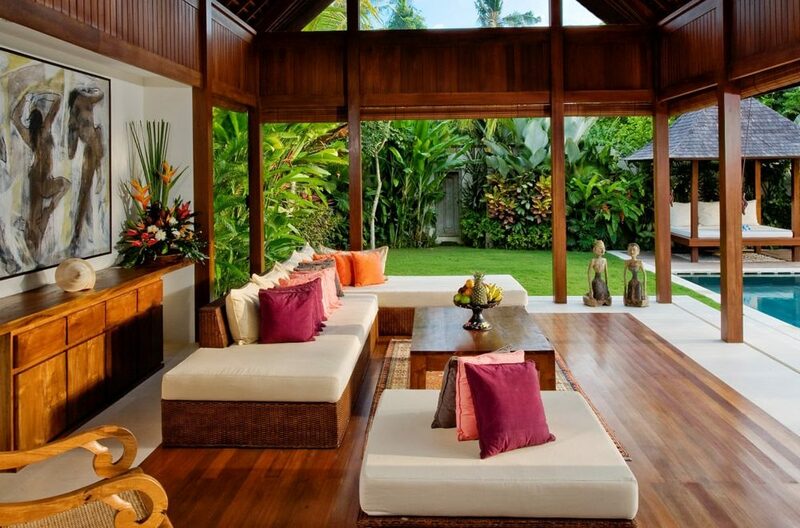 If you're looking for somewhere special for your family or a group of friends, this property will satisfy on every level. Villa Puro Blanco with its pristine white color theme offers guests a heavenly tropical living experience. 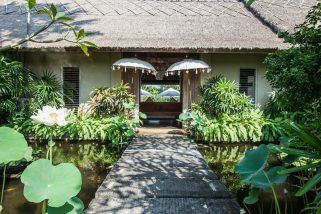 Part of an estate of four separate villas, this 4 bedroom Canggu villa holiday rental, dreamy holiday villa accommodates up to 8 guests and is built over two levels.